Celebrated American actress and Juilliard alumna Laura Linney will address the graduating class on May 22 at Juilliard’s 104th commencement in Alice Tully Hall. Ms. Linney will receive an honorary Doctor of Fine Arts degree, as will choreographer and dancer Donald McKayle. Doctor of Music degrees will be awarded to jazz legend and entrepreneur Quincy Jones; groundbreaking composer, alumnus, and 2009 Pulitzer Prize-winner Steve Reich; and soprano and opera director Renata Scotto. Earning a Doctor of Humane Letters will be Dr. Haruhisa Handa. Following are biographical highlights of these six renowned artists. 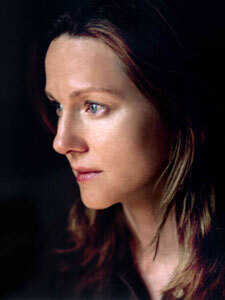 Juilliard alumna Laura Linney (Group 19) received an Academy Award nomination in 2008 for leading actress in The Savages, opposite Phillip Seymour Hoffman. She also starred in the HBO miniseries John Adams, for which she won an Emmy, SAG, and Golden Globe award. On stage, Ms. Linney starred in the Roundabout Theater Company’s 2008 revival of Christopher Hampton’s Les Liaisons Dangereuses with Ben Daniels, and was nominated for a Tony for her performance in Richard Eyre’s The Crucible, opposite Liam Neeson. Additional Broadway credits include her role as Patricia in Donald Margulies’ staging of Sight Unseen, for which she received nominations for a Tony and other awards; Six Degrees of Separation; The Seagull; and Hedda Gabler, for which she won a 1994 Calloway Award. Earlier film credits include award-winning performances in Kenneth Lonergan’s You Can Count On Me (2000), Mystic River (2003), Kinsey (2004), and The Squid and the Whale (2005). Her television credits include four episodes of Frasier (earning a 2004 Emmy for outstanding guest actress in a comedy series). Ms. Linney’s newest projects include the upcoming James Ivory film City of Your Final Destination, opposite Sir Anthony Hopkins, and Sympathy for Delicious, with Orlando Bloom and Mark Ruffalo. She can next be seen in Richard Eyre’s The Other Man, with Liam Neeson and Antonio Banderas. 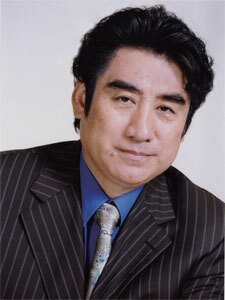 Performing artist, businessman, philanthropist, and motivational speaker Dr. Haruhisa Handa is a modern renaissance man. He performs as an opera singer, Noh actor, and dancer, and is also a composer and arranger, poet, calligrapher, photographer, and author of numerous books. Dr. Handa directs more than a dozen companies and organizations worldwide, ranging from management consulting to sponsorship of symposia and lectures. An international philanthropist, he has founded and built a hospital, schools, and an orphanage in Cambodia, and financed medical research and music education in Australia. In the U.S. and the U.K., Dr. Handa has championed causes as varied as opera, Shinto studies, and golf for the visually impaired. As chairman of the International Foundation for Arts and Culture, he has been a steadfast supporter of the Vocal Arts Department at Juilliard for a decade. The creation of the new Juilliard Opera program inspired him to increase the foundation’s philanthropic commitment to the School through support for a Visiting Artist Chair in Vocal Arts and staged opera productions at Juilliard, among other Vocal Arts activities. Dr. Handa earned a degree in economics from Doshisha University in Kyoto and pursued postgraduate studies in voice at Japan’s prestigious Musashino Academia Musicae, in addition to holding multiple masters’ and doctoral degrees. Celebrating more than 60 years in the music business, jazz legend Quincy Jones’s career has encompassed just about every role within the industry, in every medium. After touring with Lionel Hampton’s band as a trumpeter straight out of college, he moved to New York and, by the mid-’50s, was arranging and recording for Sarah Vaughan, Ray Charles, Count Basie, and Duke Ellington, among others. Mr. Jones became vice president of Mercury Records in 1961, composed the first synthesizer- based pop theme song (for TV’s 1967 series Ironside), and helped refresh movie music of that decade with infusions of soul and jazz, going on to write scores for 33 major motion pictures over his career. 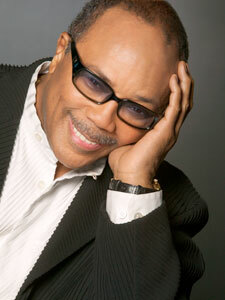 Mr. Jones’s landmark recordings have earned him 27 Grammys; he holds the record for the most nominations, 79. His company Quincy Jones Entertainment, a co-venture with Time Warner, produced NBC’s The Fresh Prince of Bel Air, UPN’s In the House, and Fox TV’s Mad TV. He also founded Vibe magazine. As a humanitarian, Mr. Jones has supported Operation Breadbasket, produced and conducted We Are the World (which has raised more than $63 million for Ethiopian famine relief), and raises funds and awareness through the Quincy Jones Foundation for initiatives supporting global children’s issues. He was named by Time magazine as one of the most influential jazz musicians of the 20th century. Donald McKayle has choreographed more than 90 works for dance companies in the U.S., Canada, Israel, Europe, and South America. 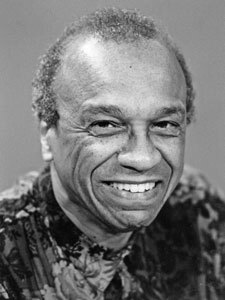 His outstanding contributions to the world of dance have earned him a citation as “one of America’s irreplaceable dance treasures” by the Dance Heritage Coalition and a medal from the Kennedy Center as a Master of African-American Choreography, among other distinctions. His choreography for Broadway musicals such as Sophisticated Ladies (1981) and Raisin (1973) earned him five Tony nominations. Mr. McKayle’s epic, 10-hour production of Tantalus was produced by the Royal Shakespeare Company in collaboration with the Denver Center Theater Company; his work has also been set on the Alvin Ailey American Dance Theater and Ballet San Jose, Silicon Valley. In addition to choreographing, he has served on the faculty of many prestigious institutions including Juilliard, Bennington College, Bard College, the American Dance Festival, and Jacob’s Pillow Dance Festival. Mr. McKayle was dean of the school of dance at the California Institute of the Arts, and is Claire Trevor Professor in Dance at the University of California, Irvine, where he is also artistic director of the UCI Etude Ensemble, the dance department’s resident chamber performance group, which he founded in 1995. He was the subject of a 2003 documentary on PBS titled Donald McKayle: Heartbeats of a Dance Maker. Hailed as “the most original musical thinker of our time” by The New Yorker, composer and Juilliard alumnus Steve Reich (’61, composition) first received recognition in the 1960s with works inspired by tape recorder loops. Early works like Drumming (1971) made use of his original technique known as phasing; the use of shifting rhythmic textures remained a hallmark of his compositions. In his landmark 1988 work Different Trains, the speech inflections of recorded interviews with Holocaust survivors generated the instrumental musical material that accompanied the speaking. The work netted him a Grammy for best contemporary composition; he won a second Grammy in 1999 for his Music for 18 Musicians. Since the early ’80s, Mr. Reich’s work has revealed a growing interest in the human voice, including his music theater video collaborations with his wife, Beryl Korot. He has received commissions from the Holland Festival, San Francisco Symphony, Hebbel Theater (Berlin), Brooklyn Academy of Music (for guitarist Pat Metheny), and the Festival d’Automne in Paris (for the 200th anniversary of the French Revolution). Mr. Reich’s 70th birthday in 2006 was celebrated with festivals and performances of his music in concert halls and performance spaces worldwide. 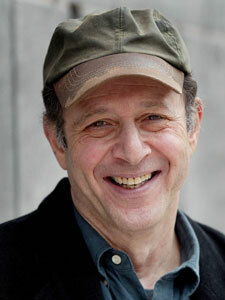 Reich received the 2009 Pulitzer Award in music for his Double Sextet; other honors include Musical America’s Composer of the Year (2000), membership in the Franz Lizst Academy in Budapest (2006), and the Chubb Fellowship at Yale University (2007). In a singing career that spanned more than 40 years, legendary Italian soprano Renata Scotto’s repertoire included some 45 roles in operas by 18 composers. Since retiring as a performer in 2002, Scotto has expanded her career as a stage director for opera houses around the world, which she began with a production of Madama Butterfly at the Met in 1986. In 2008, she staged her first Turandot in Athens; recent productions have also included a new production of La Bohème for Lyric Opera of Chicago, new productions of La Sonnambula and La Traviata for the Florida Grand Opera in Miami, her directorial debut of Norma in Helsinki, and her first La Wally in Bern, Switzerland, among many others. Her new production of La Traviata at the New York City Opera in 1995 was telecast on PBS’s Live From Lincoln Center and netted her an Emmy Award for best live musical event. In recent years, Miss Scotto has also established herself as one of the most sought after teachers of vocal style and technique, presenting master classes at Juilliard, the Curtis Institute, Yale University, and in Moscow, Tokyo, Paris, Milan, and Rome. She is director of the young artists program at the Verdi Institute in Parma. 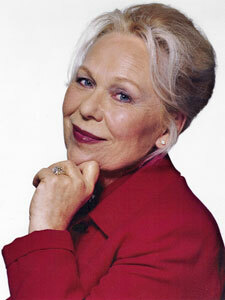 In 1997 she opened the Renata Scotto Vocal Academy, sponsored by the Italian government and co-sponsored by the town of Albisola and the region of Liguria.